According to an IGN report, new display blueprints were sent out to retailers last week that seem to indicate the unconfirmed Call of Duty: Ghosts will be revealed next week on May 1st. “Call of Duty Title: Should arrive by 5/1. Keep 4/8 poster displayed until new posters arrive 5/1. Do not display until 5/1”. While not a confirmation of Activision’s planned announcement date for this year’s Call of Duty, it does make sense that GameStop would have their displays ready to be seen on the same day that the game is revealed. It is also worth noting that the publisher announced last year’s Call of Duty: Black Ops II on May 1st. Activision has yet to officially talk about the next CoD title, however, both Target and the UK retailer Tesco potentially leaked the game this week with advertisements and online listings, respectively. Based on that unconfirmed information, the next game in the popular series will be titled Call of Duty: Ghosts and will be released on November 5, 2013 for (at least) the PS3 and Xbox 360. 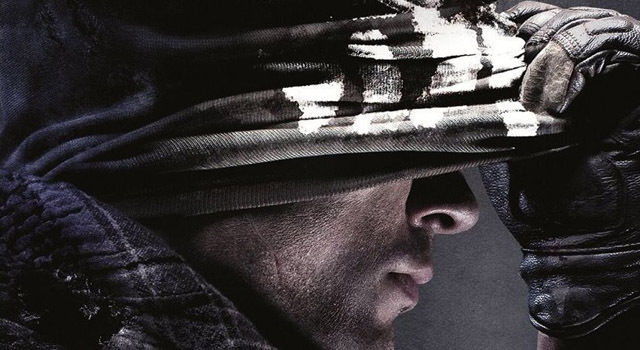 In addition to those details, the Tesco online listing also provided box art (pictured above) for Call of Duty: Ghosts, which shows a potentially familiar balaclava from Modern Warfare 2. Currently, all of this information about Call of Duty: Ghosts is unconfirmed and should be considered a rumor. Assuming the leaked image of the retailer display blueprint is legitimate, we should get an official reveal for the next Call of Duty on Wednesday, May 1st. As soon as Activision makes the announcement we will let you know.